If you love Starbucks, here’s a deal for you! 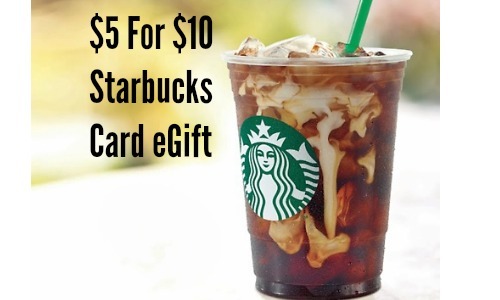 Right now Groupon is offering a $10 Starbucks eGift card for $5! This would be a great time to grab your favorite summer drink and spend time with a friend. This says it’s an invite only deal, however I never got the invite and it let me grab one. Here’s hoping it works for you too!! There is a limit of (1) per person and this deal is valid through 6/30.